Two jars: Kimchi and kimchi jam. 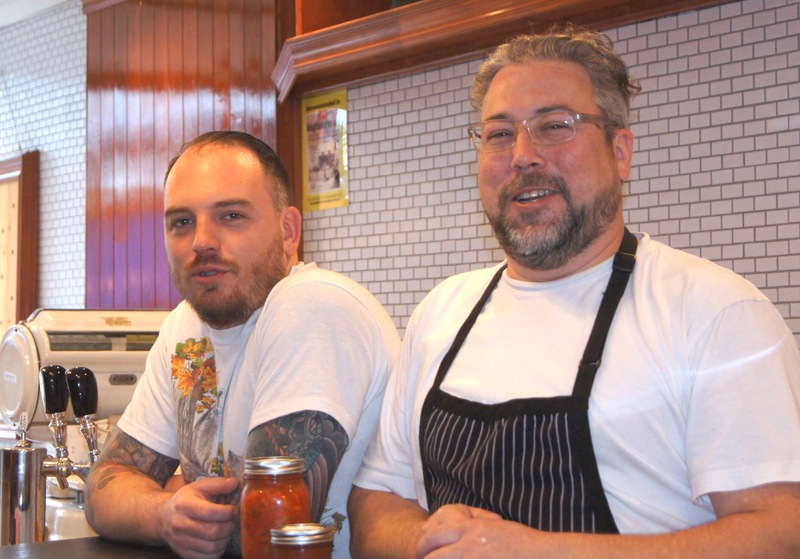 Two guys: Tye Thomas and Bryan Lavers of Thomas Lavers Cannery and Deli in Kensington Market. 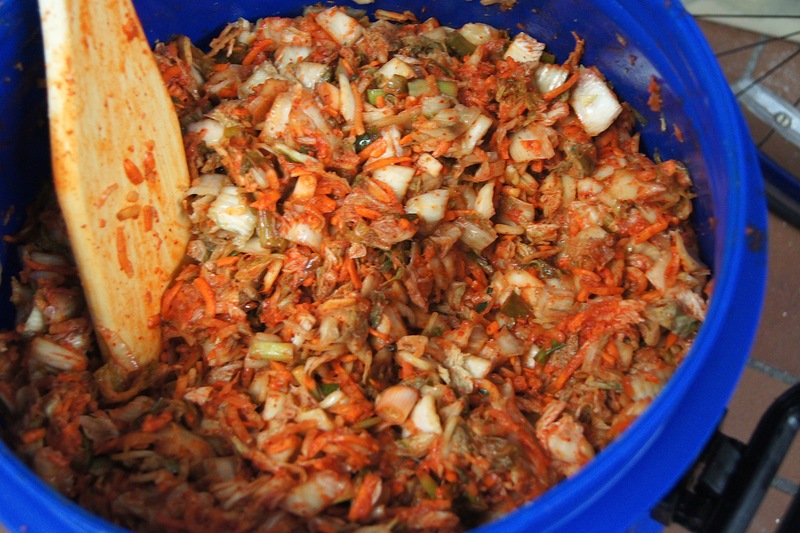 They may not be Korean, but they have a fine appreciation for fermented foods, so naturally they discovered the finest of the ferments: Kimchi. If you want some kimchi with a Western flair, then pop into their deli and grab yourself a jar. 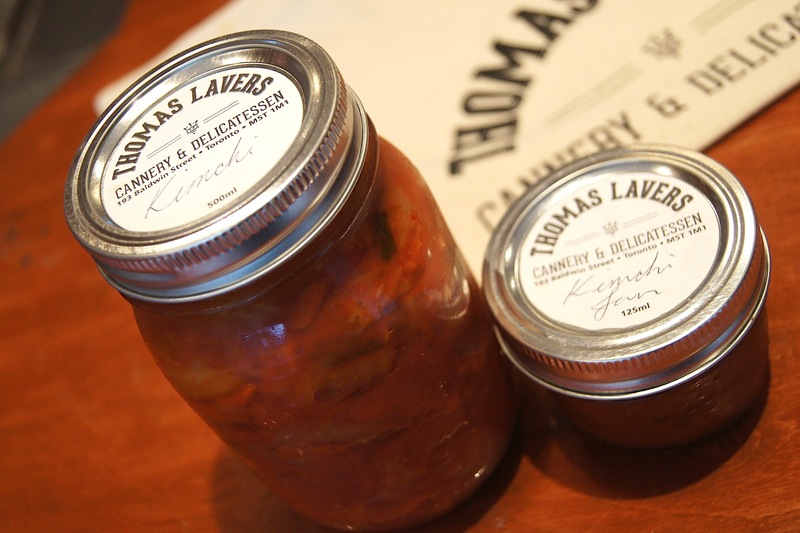 Thomas Lavers’ kimchi is mildly spicy, a tinge sweeter than the average kimchi, and the cabbage has a softer crunch with an unobtrusive tartness to it. Overall this is more of a delicate kimchi, the veg chopped more finely thus offering smaller bites, but nonetheless very flavourful. 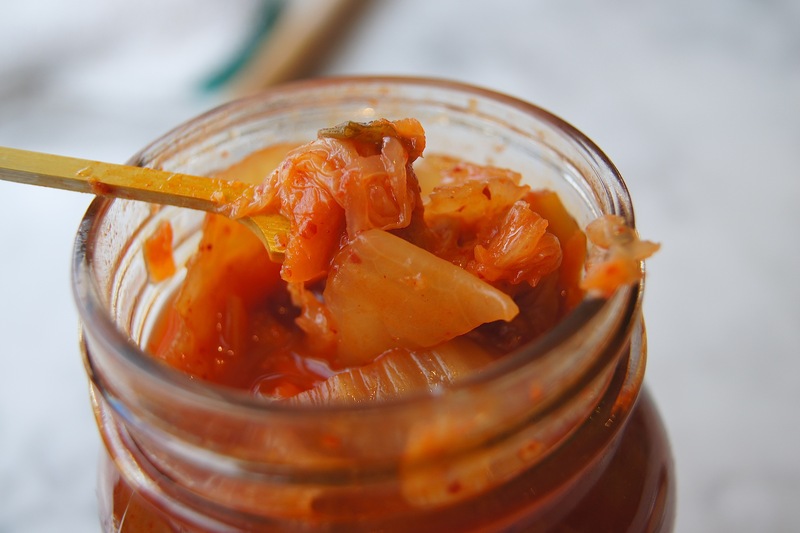 Kimchi jam – a brilliant invention. 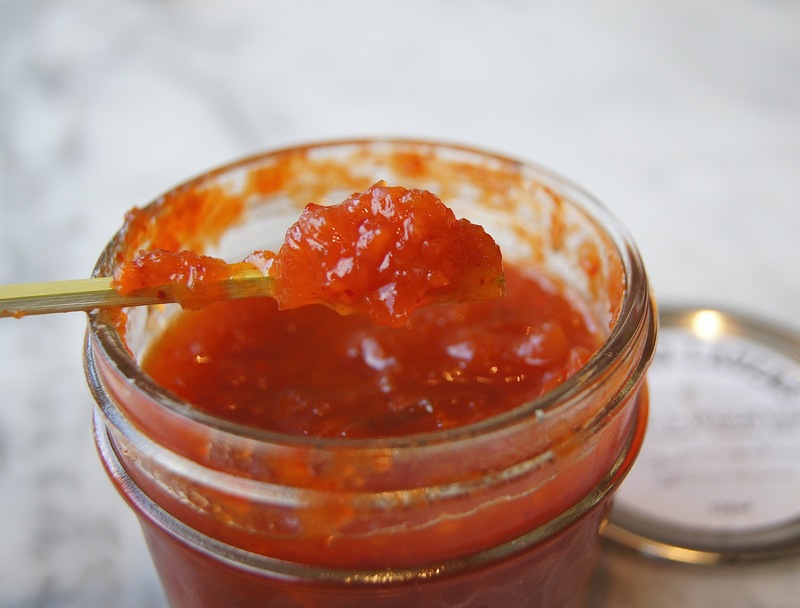 Created by simply cooking their kimchi over heat to render the flavours, then mashing it all into a tasty jam. Add a blomp to any type of sandwich for a spicy-sweet touch, or spread it on your toast in the morning and start your day off with some nice fresh kimchi breath. Hhaaaahh. 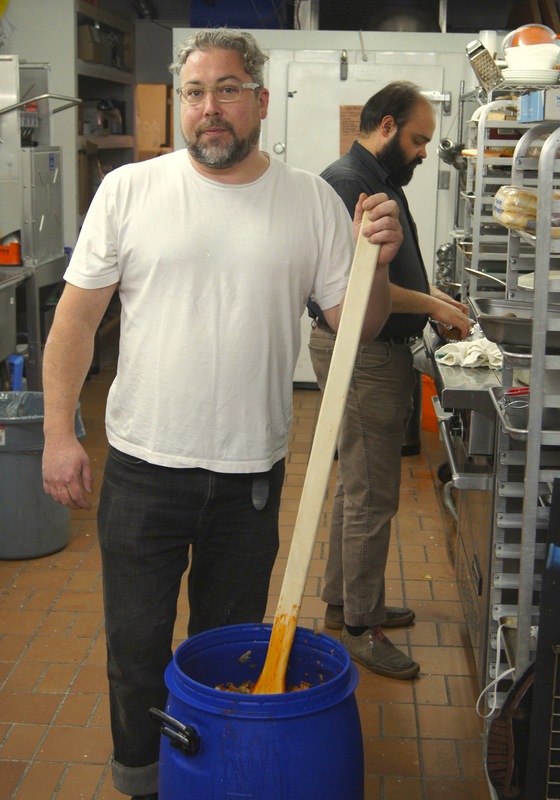 The giant vat of kimchi. All of the key ingredients are present: nappa cabbage, green onion, carrot, ginger, salt, sugar BUT Thomas Lavers’ kimchi is made without fish sauce; instead replaced with soy sauce. So all you vegans out there, fear not, for you can eat this kimchi knowing that it was made without cruelty to any fish. Hhaaahh. 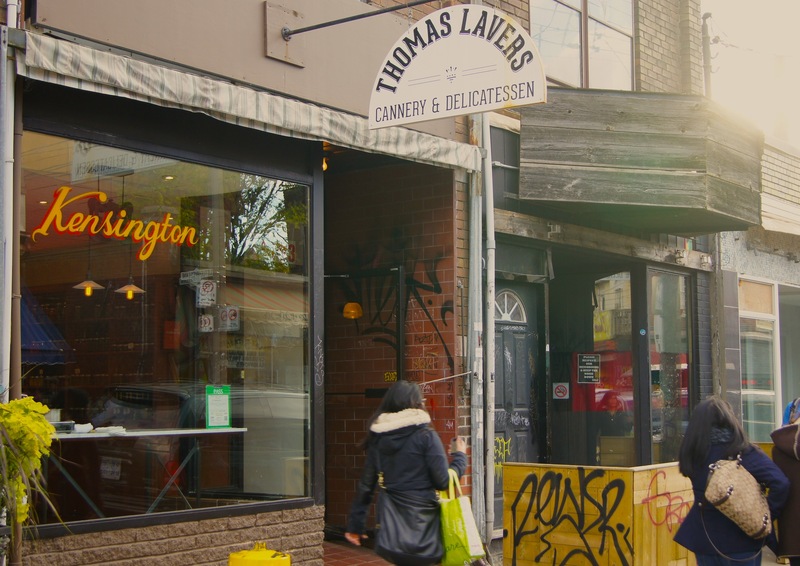 Question: Why did you decide to make kimchi at Thomas Lavers? Answer: Because it’s super tasty. A fine reason indeed. Hhaaaahh.